I don't know if anyone would believe it, but this is one of the easiest meals I've ever cooked. I found this recipe in one of Donna hay's magazines - Fast 50 Favourite Things. What drew me wasn't the meat.. but the button mushrooms! 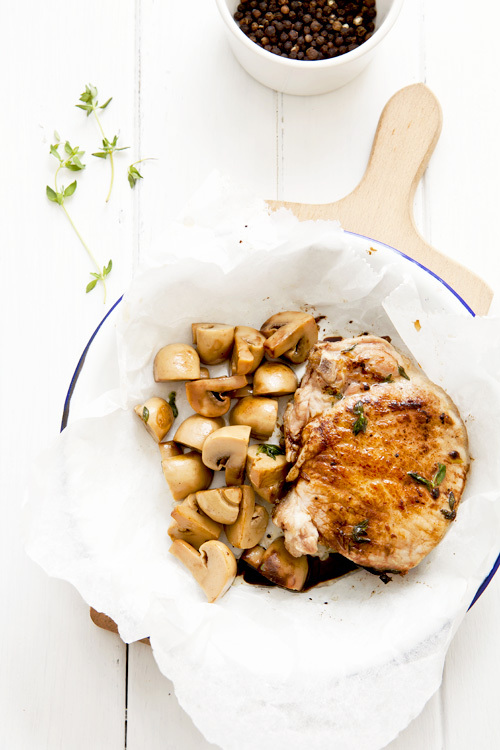 Button mushrooms were my absolute favourite when I was a kid.. And I grew up on the Narcissus brand.. Yummy meal that took less than half an hour to prepare (marinating time included!)! I couldn't find pork cutlets at my local supermarket, therefore I used pork chops instead. I've typed out Donna Hay's original recipe in here. - Remove pork from pan. - Add 1 tbsp olive oil and button musrhoom into the pan and cook for 3-4 minutes until golden. 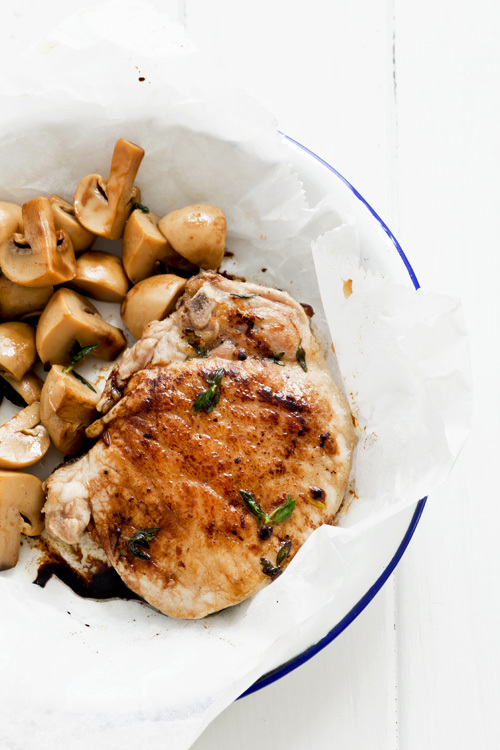 - Serve cutlets with the mushrooms and drizzle with balsamic glaze to serve. This looks yummy... I would probably use fresh button mushrooms though. 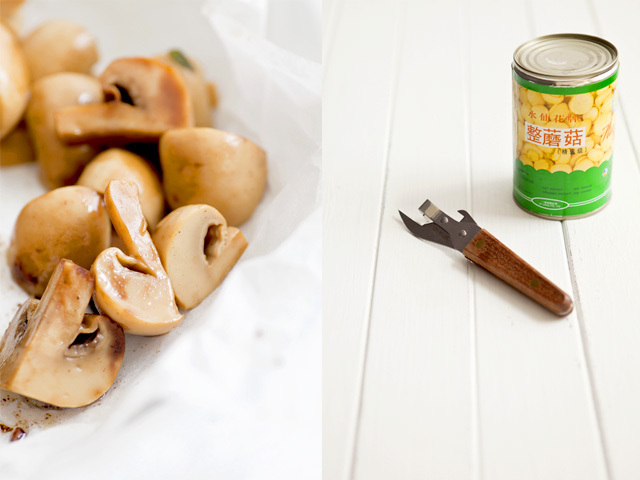 I can't stand the texture of canned mushrooms.